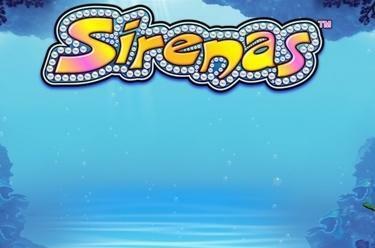 Play Sirenas™ online for free now! Don’t lose control of your ship as you follow the song of the sirens! Others have lost their vessels to the treacherous waters, but not you – you will follow the song of Sirenas™ straight to the beautiful mermaids and the treasures that they hoard. Dive deep into the free games with super bonuses, and you’re sure to come up for air with loads of Twists in your arms! 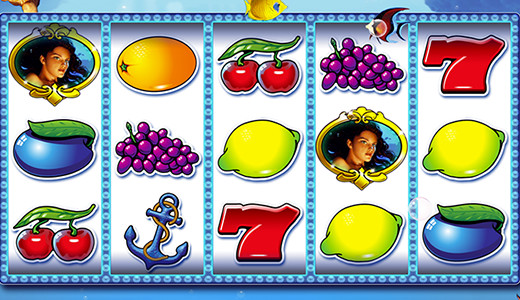 5 identical symbols along one of the 10 win lines which run from left to right mean that you’ve reeled in the big haul! The mermaid (wild) symbol will help you find the biggest riches by substituting for other symbols and so complete your winning combinations. The mermaid symbol is also this game’s scatter symbol and triggers 10 free games if 3 of them fall onto any reel position at the same time! You trigger 10 free games by landing 3 to 5 mermaid symbols at the same time, regardless of their position on the reels. Free games are played at trigger settings. During the free games, bonus symbols (clams with “Bonos” written on them) will either trigger a standard mini game (violet clams) or a super bonus minigame (red clams). Treasure chest bonus: You win free games or multipliers by opening a treasure chest (standard bonus) or 3 treasure chests (super bonus). Fish bonus: You either catch a fish (standard bonus) or 3 fishes (super bonus), winning free games or multipliers in the process. Crab bonus: One crab (standard bonus) or 3 crabs (super bonus) blow bubbles for you that contain free games or multipliers. The starfish bonus is triggered at random after every spin without a win. You either win free games with a mystery prize or a multiplier.